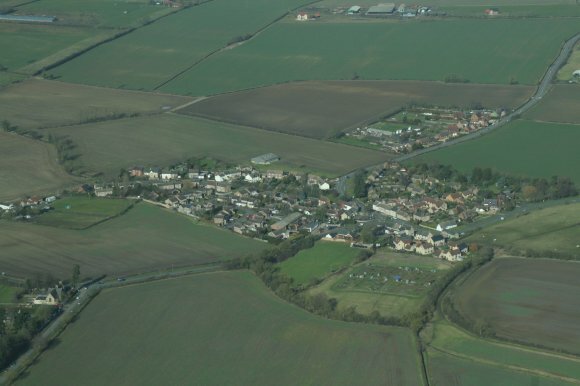 The parish comprises the village of Chelveston and the adjacent hamlet of Caldecott, along with Chelston Rise and the surrounding farmland. There are 233 dwellings (2018) and the electorate is 469 (April 2019). Chelveston is approx. 2.5 miles east of Higham Ferrers on the B645, in the eastern district of the county of Northamptonshire, UK. District Council Ward: Higham Ferrers Lancaster. County Council Division: Higham Ferrers. European Parliamentary Region: East Midlands. Dates back to 13th Century. Restored in 1849, the Church is a grade II* listed building. Memorials and graves, including a Commonwealth War Grave. The 300+ year old local village pub. Food served daily. Parking at the rear. Formerly the endowed village school with adjacent schoolmaster's house built in 1864. The endowment came from land owned by a trust set up in 1760. Funded by a public appeal between July 2005-6 and dedicated in May 2007. Used by the 305th Bomb Group (364th, 365th, 366th & 422nd Bomb Squadrons) of the US Army Air Force (USAAF) flying B-17 Flying Fortresses between 6th December 1942 and 25th July 1945.